GRAND RAPIDS, Mich. – Kathy Mahoney, executive vice president, chief legal officer and secretary of SpartanNash (Nasdaq: SPTN) was recently named one of Crain’s Detroit Business’ 100 Most Influential Women in Michigan. The business publication’s first statewide list includes talented women who have worked their way to the top in all industries and sectors in the state. Mahoney and her colleagues on the 2016 Most Influential Women in Michigan list will be honored on Tuesday, June 21 during a special event at the Suburban Collection Showplace (46100 Grand River Ave. in Novi). Mahoney was appointed SpartanNash EVP, chief legal officer and secretary in November 2015. In her current role, Mahoney oversees the Company’s legal, aviation, corporate communications, community development and government relations functions. She is also a trustee of the SpartanNash Foundation and a member of the Warriors at Ease Board of Directors and the Best Lawyers Advisory Board. Mahoney, who joined Nash Finch in 2004, served in a number of capacities, most recently as EVP, general counsel and secretary prior to the company’s merger with Spartan Stores and was responsible for legal, aviation, risk management, asset protection, safety, environmental and insurance procurement and claims management. She has worked as a trial lawyer and managing partner of two law firms. Mahoney was also a law clerk for a Minnesota Supreme Court judge before joining the Attorney General’s office in Minnesota in 1983. Mahoney was recognized as one of Progressive Grocer’s Top Women in Grocery in 2012 and was named a Top 25 Industry Leader by the Minneapolis – St. Paul Business Journal in 2011. She received her bachelor’s degree in sociology from Keene State College and law degree from Syracuse University’s College of Law. 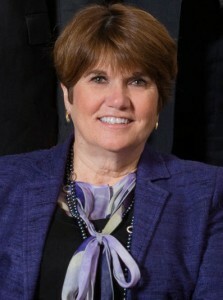 Read Mahoney’s full Crain’s profile here: http://www.crainsdetroit.com/awards/mostinfluentialwomen/3406879/Kathleen-Mahoney. Nominations for the 100 Most Influential Women in Michigan were accepted from readers, past honorees and Crain’s reporters and editors as well as a review of the publication’s news stories involving women-led companies and initiatives. The top 100 women were selected because of their impact – managing big budgets, teams or civic initiatives – diversity and proven leadership. Other West Michigan honorees include Stacie Behler, group vice president of public affairs and communications of Meijer Inc.; Rosalynn Bliss, mayor of Grand Rapids; Joan Budden, president and CEO of Priority Health; Betsy DeVos, chairman of Windquest Group; Christina Freese-Decker, president of Spectrum Health Hospital Group; Janet Kelley, senior vice president and general counsel of Meijer Inc.; and Diana Sieger, president of the Grand Rapids Community Foundation.